Home » Technology » Do You Want To Explore Further Capabilities of iPhone 6 and Samsung Galaxy S7? Do You Want To Explore Further Capabilities of iPhone 6 and Samsung Galaxy S7? 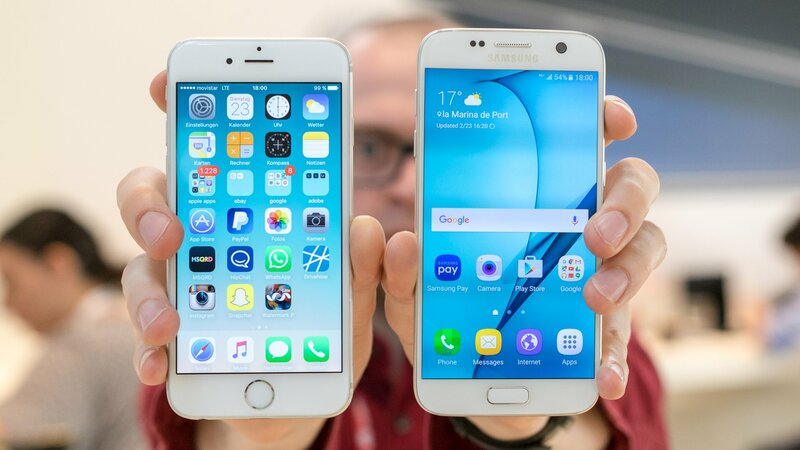 With the recent introduction of iPhone 6, 7 and Samsung Galaxy S7, both Apple and Samsung are trying to win the price and feature war by introducing great features starting from processor speed, form factor, smooth user interface, camera feature, and battery. For marketing purpose, both these giants tie-up with the network provider to offer special offers through factory locked phones. However, factory locked phones mean you cannot insert any other SIM in them. It also means you cannot explore the phone’s capabilities and enjoy international roaming. You need to abide by the network carrier charger and quality of services irrespective of better service is available in the market from other network carrier brands. So, to unlock many high-performing features, you must opt for cell phone unlock so that you can unlock your phone in an ethical manner without compromising the phone. Let’s discuss how you can unlock these great phones without any issues! You can use a gevey SIM. The SIM is a special thin piece of equipment which is attached to other network carrier provider’s SIM. The device will think that the phone OS needs to take network command from this phone. You can take out the old SIM and then insert the new SIM with gevey SIM. However, the phone will not be stable. The phone may overheat and battery lifetime will be affected as you will be using a non-iPhone part. So, it’s advisable to opt for this method for short duration only. You can officially get the phone unlocked by whitelisting IMEI number from the carrier and Apple Database. For this, you need to contact a cell unlock company as they will use authorized software to find a unlock code with respect to the IMEI number and then whitelist the number so that you can use it with another network provider. The unlock code can be legally accessed through a software and using techniques to retrieve the code in a legal manner. Once the phone is unlocked, you will receive an e-mail confirmation. You can insert the SIM and then restart your device. You need to sync the device with iTunes. You will receive a factory unlock congratulations message which will authenticate that the iPhone 6 device has been successfully unlocked. This is the best and affordable method to permanently unlock your iPhone 6 device. You can verify by calling the Apple customer support. You need a SIM Network Unlock Pin code for officially unlocking the phone. Though the phone is an android device, you can still unlock it through rooting and other methods for a temporary basis. However, the SIM network unlock method which is similar to whitelisting the IMEI number with Samsung and carrier is the best way to unlock your phone for a lifetime. Once you provide IMEI number and your present location to a cell unlock code provider, the provider will find a match and send you the unlock code. To retrieve the IMEI number, you can check the device case and warranty card. You can also dial ‘*#06#’ to retrieve the IMEI number without any issues. The unlocking feature helps you to sell the phone in other country or avoid roaming charges apart from exploring better network capability features. Of course, there are ways like rooting or gevey SIM. However, as they cannot fix your phone permanently, you must ensure to get an official unlock code to unlock your phone for once and all. Really interesting comparison both great mobile phones and It looks that Samsung is beating iPhone in this one.